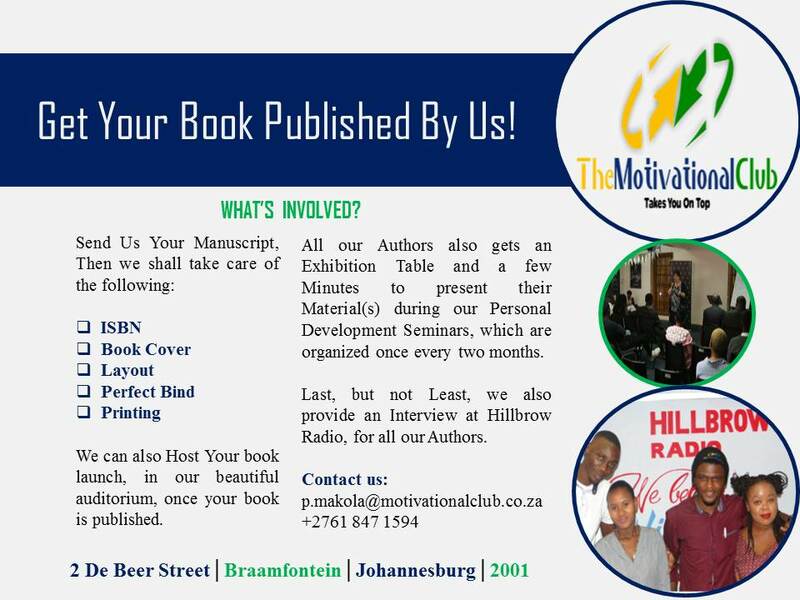 Braamfontein Alive: The Motivational Club: Publish with us! 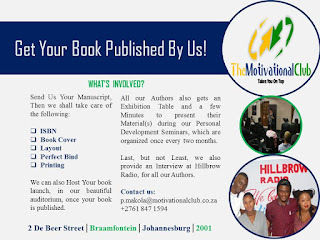 The Motivational Club: Publish with us! Grab this one in a life time opportunity and be an author with The Motivational Club. Read the information on the picture.